Ideal for Hunger Games and Divergent fans, Crystal Marcos delivers Novus, a riveting novel set in a dystopian future of action-adventure, suspense, and romance. Intriguing characters and a gripping storyline keep the reader turning page after page. Being a teenager is hard enough. And what if your life's path is predetermined? On top of that, you aren't even Human? Cayden was given life as a Cresecren. He expected to live out his days with the dysfunctional Human family he was assigned to serve. One fateful night, however, landed him in Gavaron, the home of maimed, elderly, or defiant Cresecren. Beyond its borders is the Den, an area much more dangerous than he ever imagined. Now seventeen, Cayden unwittingly becomes involved in a conspiracy and is one of a handful of survivors fleeing a deadly attack. They set off on a perilous journey in search of refuge and the truth. Along the way, Cayden begins to comprehend the difference between fully living and merely surviving, while trying to balance his emotions and a forbidden love. "Novus is a creative masterpiece. The characters are rich and alive and the vibrant details bring the story to life. The action is gripping and easily captivating. The emotions and seemingly "human" traits that develop in these beings is enduring. When Cayden begins to experience feelings for a human teen (which is forbidden) I found myself liking his character even more. As the plot thickened and the survivors of the destruction of Gavron sought safety, I became even more engrossed in Novus and was eager to see how the group fared against their many adversities. ​Award-winning author Crystal Marcos has been a storyteller her entire life. As the oldest of five children, she had to do a lot of entertaining. She lives on the Kitsap Peninsula in Washington State with her husband, daughter Kaylee, and infant son Jaxon. Crystal is the author of BELLYACHE: A Delicious Tale and HEADACHE: The Hair-Raising Sequel to BELLYACHE. Novus, her third book and first Young Adult novel, is Book One of The Cresecren Chronicles. Hours after hiring Mac McClellan to investigate the supposed suicide of her archaeologist brother, single-mom Jessie dies in a car accident. Jessie had just showed Mac artifacts and a copy of a map Jake found, items that indicate Hernando de Soto and his explorers might have camped on Five Mile Island during the winter of 1539-1540. Studying the map, Mac determines the site lies in the middle of a planned resort, The Dunes. Declaring the area an historic site could shut the project down. Suspicions aroused, he forges ahead, even though he no longer has a paying client. Everywhere Mac turns, greed abounds, and no one he interviews seems innocent, even Jessie's closest friends the Deckers, who have adopted her teenage daughter. Ron Decker's construction company is building the Dunes, and he is heavily invested in its success. Then there is the oily son and ex-stripper wife of an old curmudgeon who won't sell the one lot the project still needs to acquire. Jake's estranged wife Laurel had plenty to gain from his death, and as Mac continues to dig, he begins to wonder if Jessie herself had more at stake than he was led to believe. No one is happy about Mac's persistence, and someone is unhappy enough to crash his truck and frame him for yet another murder. But Mac isn't giving up, no matter what the cost. Inside, the Golden Pole was about what Iâd imagined. Loud music, mirrored walls, and flashy neon lights of gold, pink and red dominating the joint. A circular stage stood in the center of the room, with three polished brass dancing poles. Individual stools circled the stage front, with dozens of small tables backing them up. There were two U-shaped bars, one on either side of the room. Wide-screen TVs hung on the wall behind both bars, along with monitors so customers could keep up with the center-stage action without having to turn around to gawk. The joint was about half full, not bad for a Thursday night. . . .
Whoops and hollers and shrill whistles bounced off the walls as a gold sequined curtain parted and none other than Hot Pink herself pranced around the stage, throwing kisses to the audience with both hands. Sheâd completed two circuits when the music changed from the theme to a saucy Latino song Iâd never heard. Kami kicked off the high heels, swung the long robe sheâd been wearing in a circle over her head a few times, and tossed it to the back of the stage. She was down to a tight powder blue midriff blouse and white mini skirt. The skimpy outfit lit up under the house lights like itâd been dusted with silver glitter. The mostly male crowd roared its approval as Kami leapt into the spotlight, deftly grabbed the pole with both hands and went to work. For the next ten minutes Kami made sweet love to the pole, keeping perfect time with the music, spiraling and sliding and grinding. That pole wouldnât need polishing for a month. To the delight of the crowd she slowly shed one article of clothing and then another, teasing the most vocal guys gathered around the stage with money in-hand, until finally only a wisp of a G-string separated Kami from her birthday suit. She made repeated trips to the stage edge and back, so many bills bulging from the strings of her tiny bottoms that she was forced to make a pile of greenbacks on the stage floor. Finally the music began to fade. Kami treated the audience to one more seductive thrust and grind, and then gathered her pile of cash and strutted off the stage to wild applause, hips bouncing like a Victoriaâs Secret model. Reaching the gold curtains, she turned and blew a final kiss and disappeared. E. Michael Helms grew up in Panama City, FL, on the beautiful coast of the Florida Panhandle. He played football and excelled in baseball as a catcher. Turning down a scholarship offer from the local Junior college, he joined the Marines after high school graduation. He served as a rifleman during some of the heaviest fighting of the Vietnam War until wounded three times in one day. Helms discounts it as "waking up on the wrong side of the foxhole." His memoir of the war, The Proud Bastards, has been called âAs powerful and compelling a battlefield memoir as any ever written ... a modern military classic,â and remains in print after 25 years. The Private War of Corporal Henson, a semi-autobiographical fictional sequel to The Proud Bastards, was published in August 2014. A long-time Civil War buff, he is also the author of the historical saga, Of Blood and Brothers. Seeking a respite from writing about war, Helms decided to give mysteries a try. 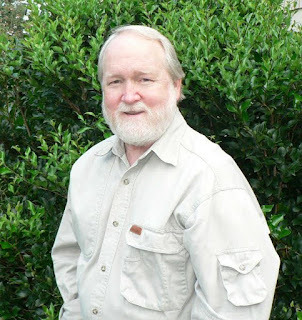 The first novel of his Mac McClellan Mystery series, Deadly Catch, was published in November 2013 and was named Library Journal's "Debut Mystery of the Month." The second Mac McClellan Mystery, Deadly Ruse, premiered in November 2014. It won the 2015 RONE Award for "Best Mystery." 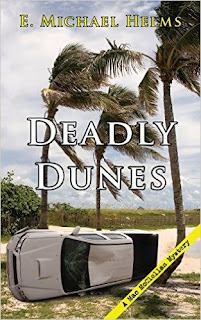 Deadly Dunes was published in March 2016 by Camel Press. Deadly Spirits is scheduled for release in January 2017. With his wife, Karen, Helms now lives in the Upstate region of South Carolina in the shadow of the beautiful Blue Ridge Mountains. He enjoys playing guitar, hiking, camping, fishing, canoeing, and is an avid birdwatcher. He continues to listen as Mac McClellan dictates his latest adventures in his mystery series. Represented by Fred Tribuzzo, The Rudy agency. For a chance to win a $25.00 Amazon Gift Card, click on the Rafflecopter link below! SYNOPSIS: Sara and her twin brother, Jack, run a fledging investigative service in St. Louis, Mo. They are hired by a rich man who inadvertently leads them to the Cunnelli crime family and the boss, Anthony, who is smitten by Sara’s inclination to flirt with danger which includes being shot at, slashed, whacked with a baseball bat and almost jailed for moving a dead body. Sara must wrestle with her conscience when faced with danger while Anthony Cunnelli, a self-professed criminal, comes repeatedly to her aid, unheeded but heartily welcomed. Her sometimes boy friend Agent Dan Brady, chafes at Sara’s relationship with Cunnelli and worries that her morals are being compromised by a slick talking grifter. Sara leans first to the gangster that saves her, comforts her and desperately tries to change his life to keep her. Cheryl Upchurch currently lives in Missouri and is a widow with two grown children, Mindi Rowland and John D. Unchurch. She has a BS in Secondary Education, History and English as duel majors and earned her MA in Counseling. She has worked as a middle school guidance counselor for seventeen years in the Parkway School District in St. Louis County and has been writing all her life. Her first book The Metamorphosis of a Middle School Dweeb was published in 2010 based on the suicide of a child due to bullying. As the Whispers of Trees Blog Tour comes to a close I want to take a moment and recap what reviewers have said about Ben Woodard's newest mythical adventure and also share my review. If you missed any of the tour stops visit the Whispers of Trees Tour Page for a complete list of all participating blogs. Number of Pages: 57 | Publisher: Miller-Martin Press | Publication Date: March 15, 2016 Synopsis: An ancient forest, a dark night, a strange woman—and whispers. This is the second book in the Mythic Adventures Collection. The first book is The Boy Who Flew With Eagles. "As a young reader, I would have fallen in love with this story of a young boy caught in the midst of a troubled family. Reveled in the adventure deep into the lush green forest even with a million eyes following me. Shivered at the strange presence I sensed lurking all around me. Drawn to the mysterious woman living within the forest’s shadow. Afraid of what might have happened to my younger brother. Whispers of Trees takes readers on a mythical journey deep into an Irish forest where legends are revealed and warnings are not to be ignored. Declan and his family are vacationing in Ireland when his younger brother, Colin, suddenly vanishes. Their sister Bridget is certain he was eaten by a wolf, but Declan can't figure out what the fuss is about since Colin never behaves anyway. However, Declan can feel something from the surrounding forest. It's as if the trees have something to say, but how can that be? A chance encounter with the odd Mrs. O'Leary confirms Declan's suspicions and she convinces Declan that in order to save Colin he must listen to the trees. Will Declan heed her advice? ​I found Whispers of Trees to be a consuming read full of suspenseful action and vivid detail. I love how one of the biggest lessons the story teaches is to slow down, stop running rampant, and listen to the world around you (or in Declan's case the trees) because there is a lot to be learned. As an avid hiker I have learned, just as Decaln does, to be more observant and to bring peace instead of chaos to those around me. Whispers of Trees is a quick read, but the author is able to spin a beautiful story complete with important life lessons. I enjoyed the characters, especially the eccentric Mrs. O'Leary, whom I have yet to decide is a witch. The story is well organized and flows easily. The fast pace and intriguing plot will keep children engaged until the end. Great for reluctant readers. I highly recommend picking up a copy. Ben is an adventurer and storyteller who has traveled the world including climbing on Mt. Everest. He now writes adventure stories for boys and girls. Tales of lost gold and river caves, and flying with eagles. Stories of friendship that endure through adversity and danger. Adventures that inspire and educate and, most of all, entertain. Armageddon has arrived and the kings of hell are out for Hannah’s blood. Hannah is the only one that can destroy hell and save the world from destruction. She diligently trains with her father in preparation of her final battle with evil. The task of slaying demons in the few short months that she’s been a Devada has changed her — she’s no longer the scared, innocent girl she once was. When she rescues a frightened little boy, she gets more than she bargained for. He is the host body for Liehijon and Liehijon is the key to finding Satan. The house shook with such force the sheetrock split, raining chunks and powder onto Hannah’s bedroom floor. Raum stood, putting himself between Hannah and the door. He reached for the gun he kept at the back of his waistband and frowned when his hand found none. The floor beneath them vibrated rhythmically, it reminded Hannah of vibrations from a giant’s footfalls. The vibration stopped right outside her bedroom door. Both of them watched the door, bracing themselves for what was to come. Tich is an Oklahoma resident and the mother of five. Her passion for reading started at an early age when her Aunt Vicky gave her the novel Heidi for Christmas. She didn't start writing until middle school, after being inspired by her best friend's short stories. "Genny's stories weren't just great but they inspired me to put my pen and paper to good use." Tich never thought of publishing her works until working with Teresa on the Royal Blood series. Hello! Welcome to the April 2016 Kid Lit Blog Hop. This exciting,monthly hop, is where we develop an engaged group of people who love everything that has to do with children's literature. Everyone is welcome to join us: bloggers, authors, publicist, and publishers! Simply make a post related to Children’s literature and add it to the linky. 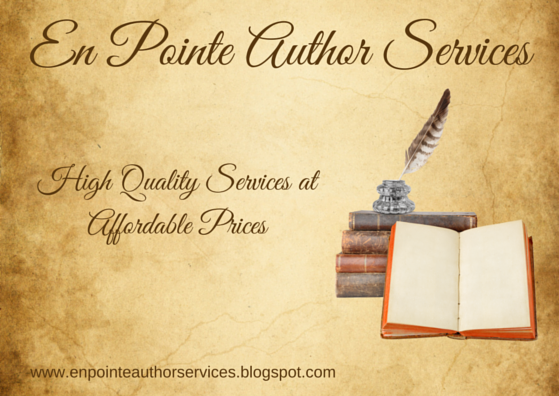 (Please make sure to add your direct post only) If you are an author, feel free just to link to your blog. Once you are done, then hop around to visit others. Please follow the co-host and visit at least the two people above your link. Please leave a comment when you do visit, we all like those. Also, it would be appreciated if you grab the Kid Lit Blog Hop Badge and display it on your blog and/or your post. We would also be grateful if you tweet about the blog hop. Let’s grow this wonderful community. Our next hop will be May 17, 2016. The hostess will be around to see you. Happy Hopping! ​Synopsis: A team of CIA contractors travel to South East Asia to investigate a series of bombings that have taken the lives of Tier One Advance Force Operators. When the mission fails, intelligence specialist Sean Havens is sent to the jungles of Burma to determine the missing soldiers’ whereabouts. On the ground, Havens learns of an unlikely axis of Russia, China, and Iran that may have plans beyond illicit trafficking. But is this a ruse to mask a global financial market manipulation to fund elections and buy alliances? Out of his element and looking to disrupt the looming global threats, Havens struggles to use his adaptability, guile, and tradecraft, as his personal losses wrestle for attention. His actions may have further consequences when the Shadow Masters learn of his meddling sending Havens again into the deadly game of secret societies and a New World Order. From Chicago and Fayetteville to Burma, Thailand, and New York, Death continues to follow Havens and those in his wake. "J.T. Patten" has worked with the intelligence and special operations community in support of national defense and policy. He has a degree in Foreign Language, a Masters in Strategic Intelligence, graduate studies in Counter Terrorism from the University of St. Andrews, and numerous expertise certifications in forensics, fraud, and financial crime investigations. Patten shares these unique experiences with readers to give them a taste of "the black." His novel is written in a multi-layered thriller plot style that provides a compelling inside view of larger than life covert activities in addition to the gripping turmoil that warriors suffer while battling foes and internal demons. Two of the characters from the first thing I wrote became the protagonist and the antagonist for my book, Thoughts of Steel. I finished the book as a freshman in college and sent it out to publishers in all its horrible glory. I felt goddamn good for completing the book, but overlooked the whole part where it was supposed to be good. Rejection after rejection led me to think that maybe something was wrong. I gave up on the book and moved on to other things. In the meantime, I discovered a project called Dargonzine.org. I joined and have published a handful of stories with them thus far. One day, something possessed me to go back to Thoughts of Steel. I found that I liked the story, despite it being poorly written and without much character depth. I must have had a soft spot for it. I sent it to my mentor for Dargonzine.org and he tore it to pieces like he does with everything I write. And it did both the book and me a whole hell of a lot of good. I spent weeks revising the book, filling my cardboard characters with flesh and bone, restructuring the plot so that it actually worked. Eventually, I had something that I not only liked, but respected as a cohesive work. I do know that I came up with Phalax and Zeraskyr first, then just needed some kind of conflict, so I found one. It all started with those two, then it morphed into Thoughts of Steel. I did have a real defining moment for the story though. I was working at Panera, a freshman in college. Dishes, hundreds of them, came back to my sinks dirty then went up to the servers clean… okay, just somewhat clean. I had gotten stuck in a way. I still had more to write, but I didn’t know where I was going. Suddenly, as I was rinsing a bowl, it hit me. I understood why I was writing the book in the direction it was going and what was supposed to happen next. The series was born after that, paving the way for two more books following Thoughts of Steel. I write in revelations, having that “ah-ha” moment well before I really need it, allowing me to never really get stuck. I think I’m gifted that way, and am sure that gift has paid off in Thoughts of Steel. Life, as the inhabitants of Zepzier know it, ends as things of myth become a harsh and terrifying reality. Everything that Phalax, a battle-hardened defender of the kingdom of Cavia, has cared for begins to slip through his grasp as nightmares begin to plague his world. When he loses everything, he is left with nothing but a need for revenge, and the road to vengeance will be paved by the blood of both friend and foe. Phalax once upheld justice. Now, right and wrong have no meaning to him, and morality has no bearing on his actions. He worships no gods, not even those who imbue him with incredible power. He will murder the enemy of his homeland and leave no threat standing. Nothing will stop him--no mortal, no demon, no god. Keith lives in Stockton, CA, teaching Krav Maga at American Martial Arts Academy. He enjoys a nice cigar on rare occasions but cannot exist long without good beer. He absolutely loves metal and rock, In Flames and Lamb of God his musical bread and butter. Besides teaching Krav and headbanging to metal, Keith also enjoys the outdoors, its furry and feathery inhabitants, drawing, and spending time with his loved ones. It's been 133 years since the Specters invaded Earth. Like ghosts they haunt the planet, devouring anyone foolish enough to venture outside the last remaining protected cities. For some, venturing out isn't a choice--it's a necessary evil to prove yourself to your clan as you come of age. But when a team of ambitious youth—New Adults—undertakes a mission deep in Specter territory, they discover a terrible secret. Everything they've learned may be wrong ... and Earth is in grave danger. Suddenly, the area all around her began to glow, as if some sinister light was slowly coming to life. Thin pine and tupelo trunks were painted in a fiery red light, bright enough that each tree cast a bloody shadow. The creature was near. She ran left, thinking about her family and blinking away stinging hot tears. She hoped to see them again. She hoped to tell her husband and her daughter how much she loved them both. Her body, numb, expected death at any moment but she refused to give in. Ahead, she could see an end to the forest. And something else . . .
A fence! An old fence whose links were being pulled earthward by heavy vines with thick stalks and fat, crescent-shaped leaves. And beyond the fence: a dim pool of white light illuminated a squat building at the far edge of a barren lot. The building must be an emergency supply depot, no doubt running solely on stored energy from the solar panels attached to the roof, slanted up at the sky. The depot would contain emergency equipment and maybe some kind of weapon. It would have a communication system, too. She could jump the fence. She could take one step on the constrained chain links and reach the top and hop over. She could reach the building. She could survive. She’d carried a child in her womb for nine months, seven days and an additional fifteen excruciating hours of labor. Her back had endured. Her legs had endured. This pain she felt in her shins now? It was nothing. It was an annoyance. ​She could do this. She could send a warning. The Proving is Ken Brosky’s newest YA sci-fi adventure. His first series, The Grimm Chronicles, ran from 2012-2014 and is available on Kindle. Ken received his MFA in writing from the University of Nebraska-Omaha. He was the sole survivor when his village was massacred. The boy spends his days alone in the woods, feeling more of a kinship with animals than with the people who took him in but never really accepted him. The Boy Who Ran is a middle grade novel about a Native American orphan trying to find a place in the world. The story is set 6,000 years ago in the midarchaic period of North American history. You can read my review of The Boy Who Ran here. Although I worked as a physicist and program manager for many years, I’ve always had a taste for reading and writing fiction, and for creating new worlds and characters. My work will span genres and time periods. The Boy Who Ran, my first book, is a Middle Grade novel set in 4000BC, while my second book, The Balance, was written to include a young adult audience and is set in the future. Other works to come soon will include a science fiction novel and a supernatural thriller set in Rome, Southern France, and Baltimore, Maryland. I live in Woodland Park Colorado now—since 2013—where I’ve settled to write full time.